Enjoy the pictures below. Read and Listen to Positive Prayers every day for 21 days. Learn to pray God's Word, and believe God's Promises! You will feel better and happier. These Biblical Prayers will help you pray with some of the Best Prayers in the Bible! Positive Prayers will help you to stay focused on God, and receive His many Blessings! Click any subject to the right for more Pictures & Videos. Check out the 2 FREE Video samples at the bottom. Thank You Jesus, for helping me to pray (1 Thessalonians 5:17). I love You Lord, my God, with all my heart, and with all my soul, and with all my mind, and with all my strength (Mark 12:30). Thank You Jesus, for loving me, and being my best friend. You will never leave me, nor forsake me (Hebrews 13:5). Your word says that all things, whatsoever we shall ask in prayer, believing, we shall receive (Matthew 21:22). Thank You Jesus, that I am asking, and You are giving to me. I am seeking, and You are helping me find. I am knocking, and You are opening doors of blessings for me (Matthew 7:7-8). I call unto You, and You answer me, and show me great and mighty things, which I know not (Jeremiah 33:3). With God, all things are possible in my life! God is our unlimited source and supply for all good things (Matthew 19:26). Jesus, You are highly exalted, and Your name is above every name! I ask all of my prayers in Your name. You are the solution to any problem, and You are bigger than any obstacle I face (Philippians 2:9 and John 14:14). I cast all of my care upon You Lord, for You care for me. At night I sleep soundly and peacefully, knowing that all things are in Your hands (1 Peter 5:7). You keep me in perfect peace, as my mind is stayed on You: because I trust in You (Isaiah 26:3). In every thing by prayer and supplication with thanksgiving, I let my requests be made known unto You God (Philippians 4:6). Everyday, in every way, I draw near to You God. Thank You for drawing near to me (James 4:8). I wait upon You Lord, and You renew my strength; I mount up with wings as eagles; I shall run, and not be weary; and I shall walk, and not faint (Isaiah 40:31). I wait patiently for You Lord. Thank You for always hearing me, and answering all of my prayers in Your perfect timing (Psalms 40:1). With Your help, my effectual fervent prayer avails much (James 5:16). Enjoy the 52 Best Biblical Prayers for Your Christian Success! Positive Prayers will help you Pray God's Word, and believe God's Promises! They are the most Encouraging and Inspirational Prayers. They will help you to stay thankful, and appreciate all of your blessings. Positive Prayers will help you live the abundant and blessed life! With God all things are possible! Praying God's Promises will fill you with FAITH and BELIEF. Jesus said, "All things are possible to those who believe." Listening to Positive Prayers daily will help you to add Biblical Prayers to your daily prayers. Learn to speak and pray God's Word! 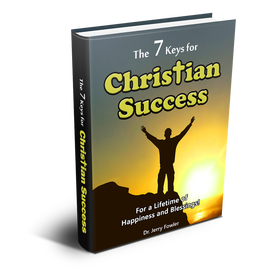 ​Click for the full 52 Positive Prayers for Christian Success eBook, Video, and Audio. the LORD: and he delighteth in his way.